Piper’s Creek Grove has been an established certified organic farm since 2005, producing Australian native edibles that were made into popular condiments by previous owners, Jules and Liza. The property was recently sold to Port Macquarie couple Peter and Cherie Burgess, who have been working hard to ensure the well-known Macleay Valley farm reaches its full potential. At the moment, we have a small crop of Davidson plums that we are harvesting with more to come. The property also has Illawarra Plums, finger limes, lemon, cinnamon and aniseed myrtle and of course the blood limes, which are looking fantastic for the upcoming picking season. We will still be producing the same range of products as the previous owners and introducing some new products along the way. We have trialed a few new recipes and look forward to extending the range available from Pipers Creek Grove. Why did you decide to take on Piper’s Creek Grove? We were looking for a lifestyle change and had looked at a number of properties on the North Coast. When we first saw Pipers Creek Grove we realised the huge potential this unique property had. The established orchard was in place, the house on the property was built in a nice location and, with a few modifications, will make a lovely home for us. We decided to purchase this business as we thought it was a wonderful opportunity to encompass many of our passions and hobbies that we had developed in our life. What is your vision for the farm? We have many ideas for Pipers Creek Grove but we will start by giving it lots of attention and bringing it back to its full potential. We have built a larger packing shed and storage shed and made repairs to the existing sheds. We recently had our audit for our organic certification and the auditor commented that he has been coming to the property for many years and it is the best he has ever seen it. We are very happy with our progress so far. We both grew up on the land. Pete grew up in the Hastings area on cattle farms and spent a lot of time with his grandfather in his market garden. I grew up on land in the Boambee area on a banana plantation with a large mix of fruit trees. Pete is an avid gardener and has been growing a lot of our home products for years. He is also a wonderful cook who loves to make preserves, sauces and jams. We are both very passionate about anything we do so this will be our new obsession! We love fresh products, tasty food and being together. We have wanted to get back on the land for years and now we are in a position to do so and loving it. Having spent the majority of our years working to time schedules, we are hoping that this change will also give us more time to be with our friends and family. 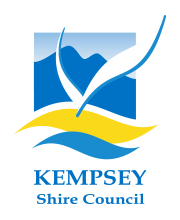 We have made approaches to do the Kempsey markets and people will be able to purchase our products there. We also have our facebook pages and website. Our products will be listed on the website, farmhouse direct. In the meantime, we have a lot of work to do and it will take some time to get the full range of products back in production. We have already sent out orders of the Davidson plums and we welcome any enquires for our fresh produce and products.